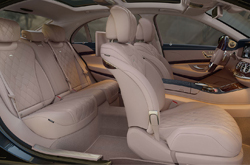 Everyday sedans might aspire to be luxury sedans, but luxury sedans aspire to be Mercedes-Benz S-Class sedans. 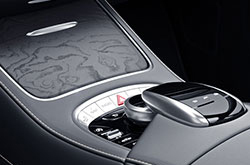 Possessing the basics like a roomy cabin and a distinct compartment for goods, the S-Class sedan for 2019 adds the quality, frills, and ingenuity that give it its international reputation. Here's a rundown of some of its latest additions. Opulence is what Mercedes-Benz is all about, and it begins in the S-Class lineup, S 450, S 560, AMG S 63, and AMG S 65, with respective front and rear headroom of 42.1 inches and 39.2 inches along with forward legroom of 41.4 inches and second row legroom of 43 inches. This is just the start as both the S 450 and S 560 welcome passengers with leather-trimmed seats with 12 automated positions of comfort for front riders and 4 positions for the second tier. Overhead, a remote-controlled panoramic sunroof casts light on a cabin outfitted with three 12-volt DC outlets, one AC outlet, 2 USB ports, and warmed or air conditioned by a twin-zone front climate system. When the sun isn't available, a choice of 64 colors makes the LED-powered interior ambient lighting a joy. In fact, LEDs also supply the illumination for all major interior and exterior lighting needs. An AM/FM/HD/SiriusXM audio system is controlled by two 12.3-inch touchscreens and is audible through 13 speakers backed by 590 watts. If a richer experience is desired, 26 speakers powered by 1190 watts is optional along with a CD player. Mercedes-Benz doesn't believe in doing anything small, and that includes the line of engines available for the S-Class. More power always makes handling and acceleration easier, so Mercedes-Benz gifted the S 450 with no less than 362 horsepower and 369 lb-ft of torque in its entry-level 3-liter twin-turbocharged V6. Integrated with a 9-speed automatic transmission that's used with all other selections, its power is matched by miserly fuel usage of 19 mpg city and 28 mpg highway. With only 5.4 seconds needed from 0 to 60 mph, busy interstates aren't a problem. They're even less worrisome with the 4-liter twin turbocharged V8 in the S 560 that fires off 463 horsepower and 516 lb-ft of torque, so 60 mph is just 4.6 seconds away. Reaching 60 mph in a mere 3.4 seconds is the reward the hand-customized 4-liter twin-turbocharged V8 delivers for buyers of the AMG S 63 thanks to 603 horsepower and 664 lb-ft of torque. Remarkably, it also attains an economical 17 mpg city and 26 mpg highway. Speaking of handcrafted engines, the biggest in the lineup, the 6-liter twin-turbocharged V12 in the AMG S 65 blasts 621 horsepower and 738 lb-ft of torque. 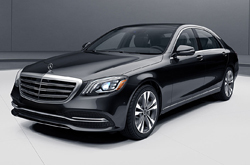 The 2019 Mercedes-Benz S Class series is the result of expert engineering combined with sound manufacturing. The tough, resilient body works in conjunction with items like traction and stability control, 9 airbags including specialized types embedded in the rear seat belts, antilock brakes, and a rearview camera to maximize safety. 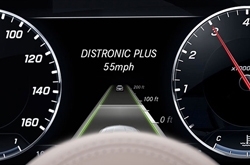 Because technology is constantly moving forward, Mercedes-Benz has kept itself on the leading edge with the Intelligent Drive suite. Like the active systems being added to other vehicles, this one identifies potential forward vehicle and pedestrian hazards and and signals the driver before activating braking if needed, keeps the car in its lane, and checks blind spots. Unlike the competition, this system stays aware of speed limits and approaching road conditions through GPS and other information sources to plan ahead. 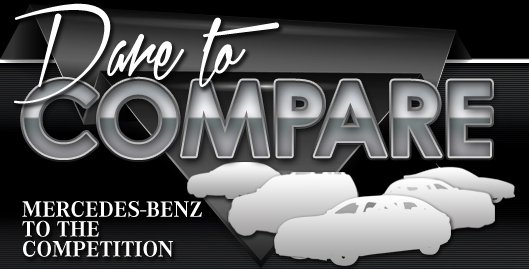 Be sure to further examine this luxurious performance machine at our dealership in Lincoln.